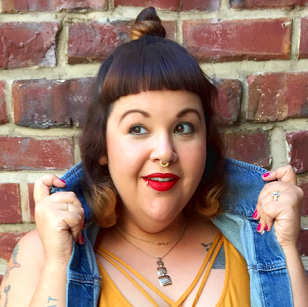 Sporty, sassy and (you bet) rebellious, Torrid’s new collection by Rebel Wilson has everything you need for a complete fall wardrobe, day and night. Plus size clothing has indeed come a long way and gone are the days of body-hiding, shapeless sacs. Torrid has always brought you fashion-forward and youthful plus size dresses, denim, outerwear, lingerie and more to celebrate your curves. Now they’ve added in the (pitch) perfect mix of edge and flirt-factor thanks to this amazing collab. Take a sneak peek at Rebel Wilson’s collection below! Don’t forget to shop using Ebates to get 4% Cash Back when shopping at Torrid! Effortless skirt and shirt combos, urban inspiration and a little leather and lace. This collection has everything! Plus, for a limited time, you can also enter Torrid’s Instagram contest to win Rebel’s silver duffle bag. Check out the terms while you shop these amazing pieces. Good luck!